Assistant is now on over 500 million devices: Assistant now covers more devices than there are people in the United States. New availability: Google says Assistant will be available in 80 countries by the end of the year. 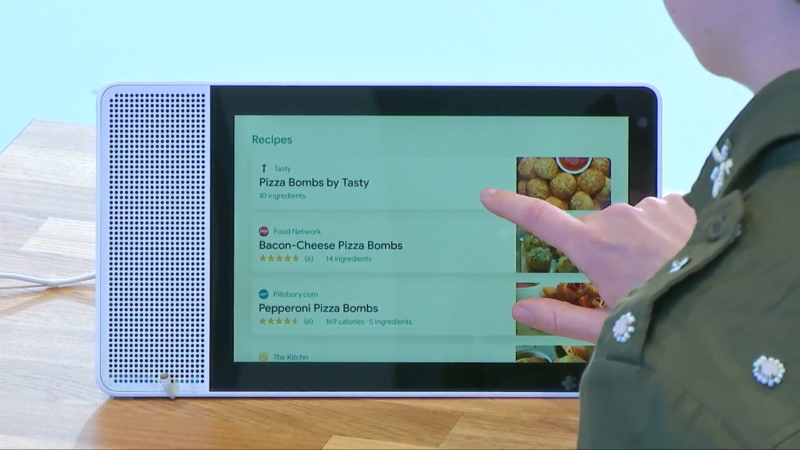 Smart displays are coming this July: Google's Echo Show-like devices with Assistant, named 'smart displays,' are almost here. The first batch of models from JBL, Lenovo, and LG will arrive in stores this July. New Assistant voices: Google announced six more voices for Assistant at I/O, and they started rolling out on Wednesday. Improved mobile UI: A redesigned Assistant experience is coming to Android this summer, and iOS later this year. Google says it will "give you a quick snapshot of your day, with suggestions based on the time of day, location and recent interactions with the Assistant." Food pickup and delivery: As part of the above-mentioned UI revamp, you'll be able to order food and drinks at select nearby restaurants/cafes straight from Assistant. Pretty Please: Starting later this year, parents can enable a new Pretty Please setting in Assistant, which requires kids to say "please" with every command. Continued conversation: Assistant will soon be able to hold a conversation without you having to say "OK Google" before each command. It's similar to the Follow-up mode on Alexa, and will go live over the coming weeks. Assistant on Maps: At long last, Assistant will be accessible during Google Maps navigation, replacing the legacy Google Search functionality. Custom and scheduled routines: You can now create custom routines for Assistant, which are multiple commands executed at once. In addition, these routines can be automatically scheduled. Developer Preview 2: The second preview of Android P was released during the Google I/O Keynote. Traditionally, only Nexus and Pixel devices have been part of the Developer Previews, but Google opened it up to more phones this time. Gesture navigation: As rumors suggested, Android P includes a form of gesture navigation. Sadly, it's not very good. There's also a new way to trigger multi-window. Network privacy: Starting with Android P, apps will no longer be able to monitor your network activity. App actions: Android P will display shortcuts for apps, contacts, and other tasks based on what it thinks you'll ask for. Slices: Applications will be able to embed limited functionality in other apps. Adaptive Battery: Android P uses machine learning to save battery life, by limiting background activity for applications you don't use often. Android Auto Wireless: The cable-free version of Android Auto was enabled for Nexus and Pixel devices last month, and now all devices updated to Android P will be able to use it. Adaptive brightness: Android P will use machine learning to adjust the screen brightness based on your preferences. New ring mode shortcut: On Android P, you can press volume up and power simultaneously to set the ringer mode. Paginated quick settings: The first Android P Developer Preview changed the quick settings to scroll vertically, instead of horizontally - this has been reversed in DP2. Additionally, alarms and the ringer status are now shown on the quick settings screen. Weather: Android P now shows the current weather on the lock screen and in ambient mode. Vulkan 1.1: Android P includes support for version 1.1 of the Vulkan graphics API. Accessibility menu: There's a new pop-up Accessibility menu for motor-impaired users, providing easy access to common system functions. New charging sound: Android P has a new sound when you plug in your phone. 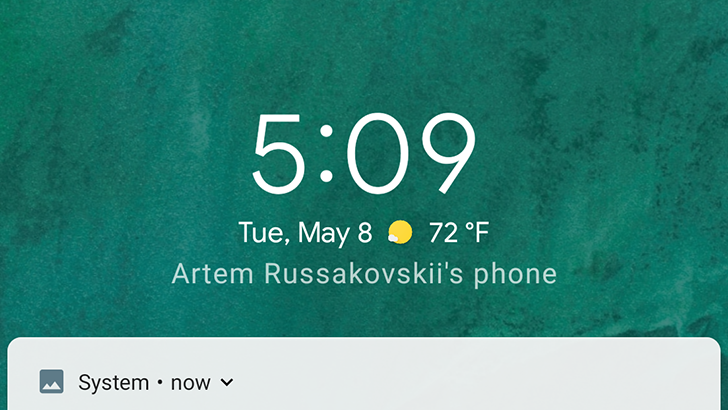 Notification replying: Replying to a notification on Android P no longer dismisses it, so you can send multiple messages without opening the app. Manage notifications: There's a new 'Manage Notifications' button at the bottom of the notification tray. Background apps: Android P will now inform you if background apps are using the microphone or camera. Screenshot editor: The screenshot editor that first appeared in DP1 is now available on the 2016 Pixels. It's not clear if this will be part of AOSP, or just a Pixel-exclusive feature. Biometric authentication API: Back in February, it was revealed that the next version of Android would support some form of Iris unlock. Google confirmed this week that a new biometric authentication API is coming to Android P, allowing apps to use a fingerprint, face, or iris to verify the user. 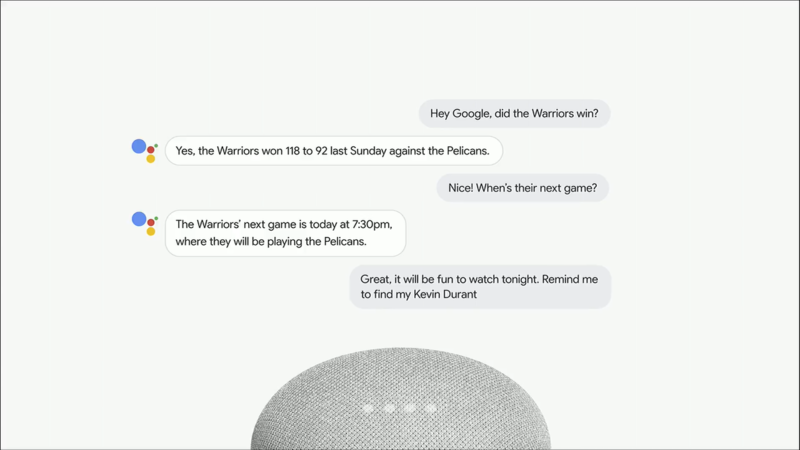 Google Duplex: Easily the most impressive product demonstrated on stage, Duplex will call businesses for you and talk to a real person to set up appointments/reservations for you. There's no firm release date yet, but the on-stage demo was fantastic. Gmail Smart Compose: Sometime this month, a new Gmail feature called 'Smart Compose' will roll out to users. It can write most of an email for you, based on a few words in the body and the subject. Suggested actions on Google Photos: Google Photos will now suggest changes it thinks your pictures need, including adjusting brightness or sending pictures to the people in them. It will even convert photos of receipts into PDFs at some point. ML Kit: This new API will allow third-party developers to use Google's machine learning tech in their applications. Expanded Google Lens availability: As we previously reported, Google Lens is now rolling out to more devices from more OEMs. Google says select devices from LG, Motorola, Xiaomi, Sony Mobile, HMD/Nokia, Transsion, TCL, OnePlus, BQ, and Asus are getting it. Lens will also be available in more languages soon, including French, Italian, German, Spanish, and Portuguese. Waymo: Alphabet Inc's self-driving cars are getting smarter, thanks to recent improvements in AI. Wear OS Developer Preview 2: One announcement that flew under the radar was a new Developer Preview for Wear OS, adding an enhanced battery-saver mode and expanded Assistant functionality. 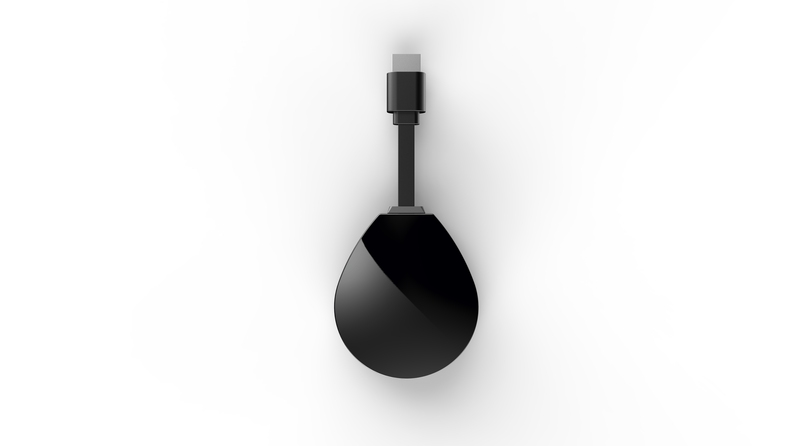 ADT-2: Google unveiled a new Android TV developer device, the ADT-2. Unfortunately, it won't be sold to consumers. Jetpack: Jetpack is a new set of components, tools, and guidance that will (hopefully) make Android app development easier. Flutter Beta 3: There's a new beta available for Flutter, Google's high-performance and cross-platform mobile SDK. 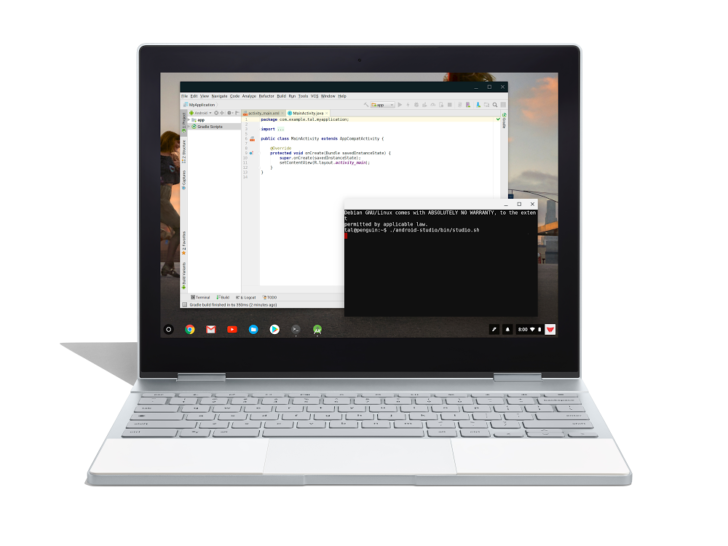 Linux apps on Chrome OS: After months of work behind the scenes, Google officially announced Linux app support on Chrome OS. Material Themes: Google launched new resources and a Sketch plugin for customizing Material Design elements. Google Photos partner program: Developers can now integrate Google Photos into their apps using a new API. Chrome OS improvements: SD card support for Android apps, Gboard, low-latency drawing, and more are coming to Chrome OS. Android Things: The final release of Android Things, the lightweight version of Android designed for Internet of Things devices (lightbulbs, smart displays, etc), is now available. 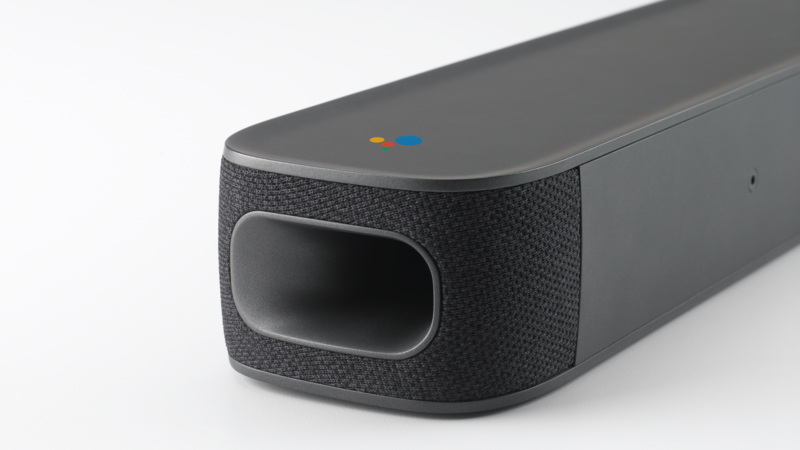 JBL Link Bar: The day before the I/O keynote, JBL unveiled the first soundbar running Android TV. It's also an Assistant speaker. Morse code input comes to Gboard: Google's keyboard now includes Morse code input, helping motor-impaired people use Android devices. Lookout: Google's new 'Lookout' app helps blind people identify their surroundings. 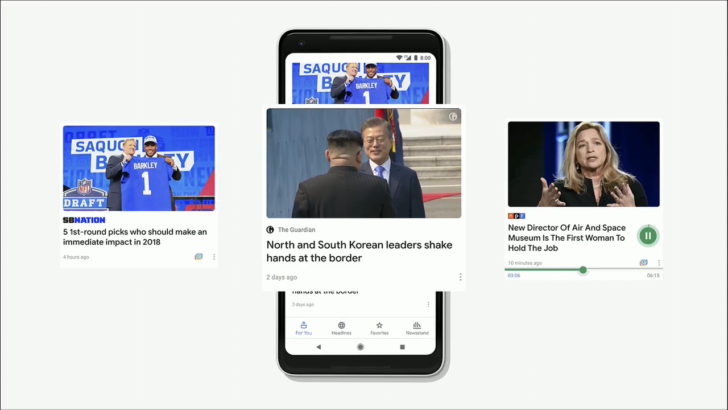 Google News: The new Google News app is now available, with an overhauled interface and content from Play Newsstand. YouTube improvements: The mobile YouTube app will soon show notification digests and break reminders. 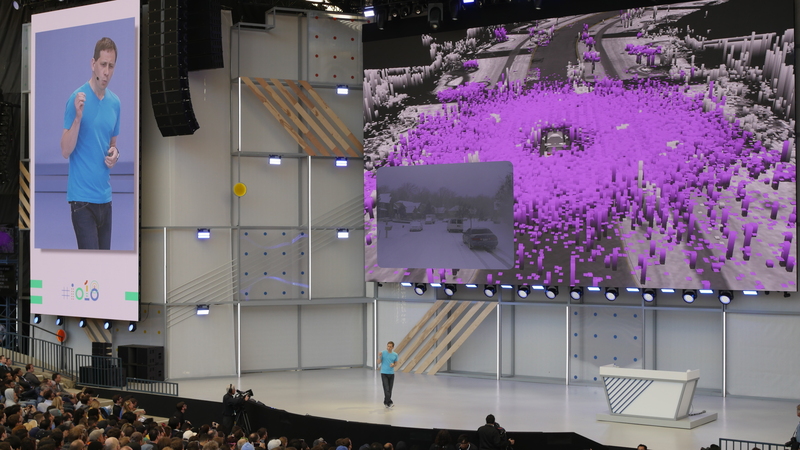 So there you have it - everything that was covered at Google I/O 2018. Let us know what your favorite announcements were in the comments.